Travonette Hicks is one of our parents at Lake & Pulaski. 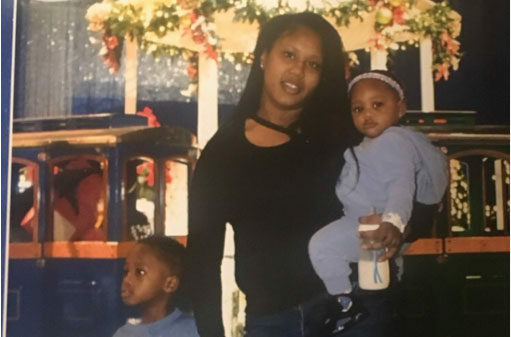 Ms. Hicks is the mother of two beautiful children, Zion (3) and Zi’Yonna (1). Ms. Hicks is a very loving, caring, and resourceful individual. When I first met her, she was in need of employment and expecting her second child. She was very determined to become successful. I quickly referred her to our partner, SGA Youth & Family Services. This program provides an opportunity for parents (between the ages of 16 – 24 years old) to work part-time as Literacy Coaches within Head Start centers throughout Chicago. Literacy Coaches are supportive to teachers by their leadership in hosting activities to enhance language and literacy. They also have a great impact on the culture we establish in the classrooms. Ms. Hicks quickly became a favorite of the children in the Butterflies classroom. She was patient and kind. She demonstrated excellent skills in supporting children with special needs. It was clear that Ms. Hicks cared about the wellbeing of the children. She was and still is an advocate for her son, Zion. 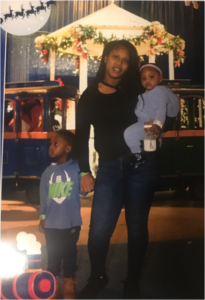 For example, Ms. Hicks advocated strongly for Zion to receive additional comprehensive language development skills and Zion has thrived in this area because of his mom’s excellent and attentive parenting! When a new job opportunity opened at our Lake & Pulaski site, Ms. Hicks was the first person we had in mind to transition from her Literacy Coach position. She is now a Teacher Aide in our Teddy Bears classroom. She is very excited and happy to come to work every day. She truly enjoys working with the children. Ms. Hicks plans to continue her education in Early Childhood to become a Lead Teacher. We are so thankful and appreciative of Ms. Hicks’ work here at Mary Crane!